Charla Jeanice Plaines was born October 1957 in Brooklyn, New York. Due to a career change, her family relocated to New Cumberland, PA where her mother worked for the New Cumberland Army Base. Since the young age of eight years old, Charla has spent her life, raised her children and dedicated her career to serving others. After graduating from high school she attended the local area community college, became a young Mother and worked at various on-campus jobs to support her new born son. She left school to work full-time as a Program Worker in the Marcus Garvey Day Care Program, a federally funded year round day care project that provided before and after school service for local disadvantaged youth as well as a full day summer program at the area YMCA. It was during these years that Charla acquired her love for working with youth and realized how important those formative years are and the positive impact one can make on young impressionable minds. Her passion for education never ceased and in 2001, she received a Masters of Human Services (MHS)degree from Lincoln University. As with most federally funded projects in the late 90’s, the funding soon dried up and Charla went to work for Hershey Foods as a candy packer. For most this would seem like an ideal job as the pay and benefits were great but one that she truly knew was not for her in the long run. During one of the annual layoffs from Hershey Foods she applied for a position in the Governor’s Press Office, then under Governor Casey. That began her State Government career that spanned over 29 years from the Executive Assistant to the Governor’s Press Secretary under three Governors ending as the Reentry Coordinator for the PA Commission on Crime and Delinquency in January 2018. 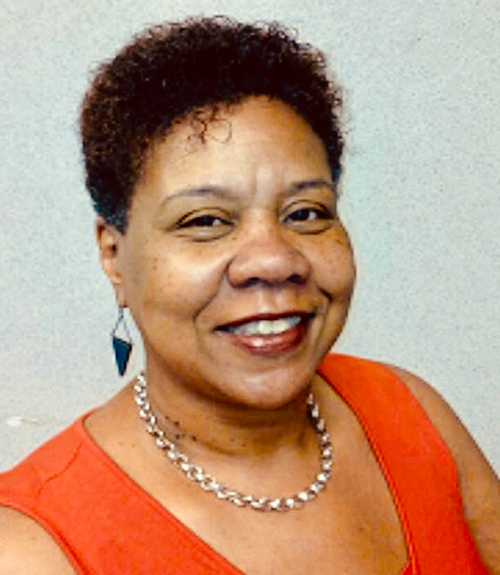 Currently Charla works as an Annuitant in the Office of Public Engagement (OPE) under the Office of Attorney General (OAG) as the Reentry Coordinator for the PA Reentry Council (PARC). The PA Reentry Council was created in May 2017 by Governor Wolf and AG Shapiro to bridge the gaps in services for reentrants in collaboration and partnership with key state agency heads, legislators and Governor’s Office officials. Charla is the Grandmother of 15 wonderful Grandchildren, with whom she spends most of her time when she is not involved with local youth serving community-based organizations. Charla is on the Board for the Harrisburg Police Athletic League (HPAL); serves on the statewide Disproportionate Minority Contact (DMC) subcommittee under the PA Commission on Crime & Delinquency (PCCD); a Board member of the National Coalition of 100 Black Women (NCBW) Harrisburg Chapter; and is currently the 2nd VP for Ephraim Slaughter American Legion Post 733 American Legion Auxiliary.